The frame plates for 4/3 C-AHR Bare Shaft Slurry Pump have replaceable wear-resistnat metal liners. 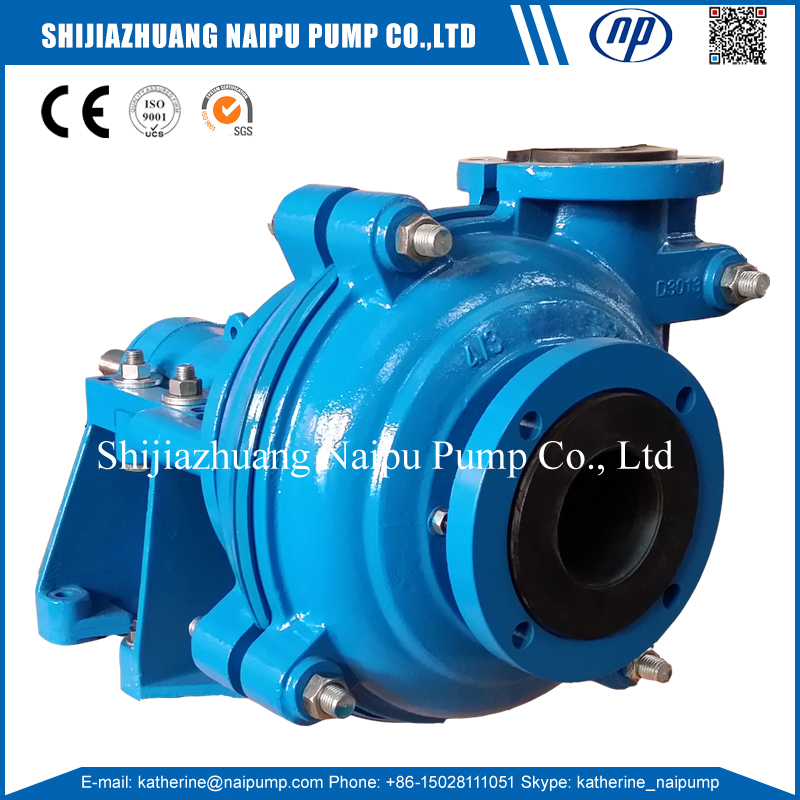 Bare Shaft Slurry Pump Impeller are made of wear-resistant metal. Solid Suction Pump used for mining flotation. 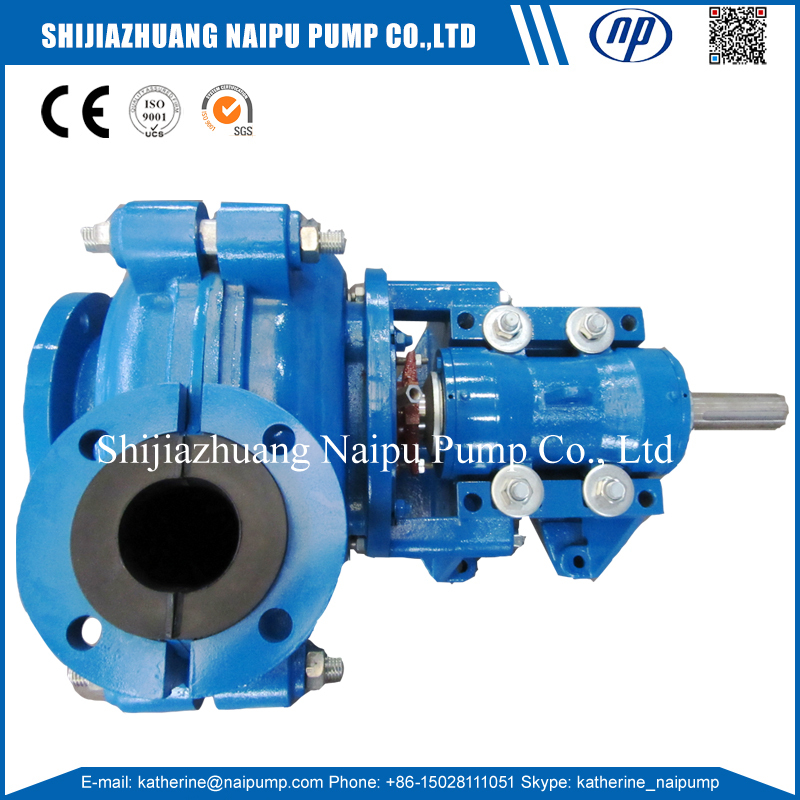 Bare Shaft Rubber Pump connect with motor with belt and pulley, or directly with couplings and gearbox. 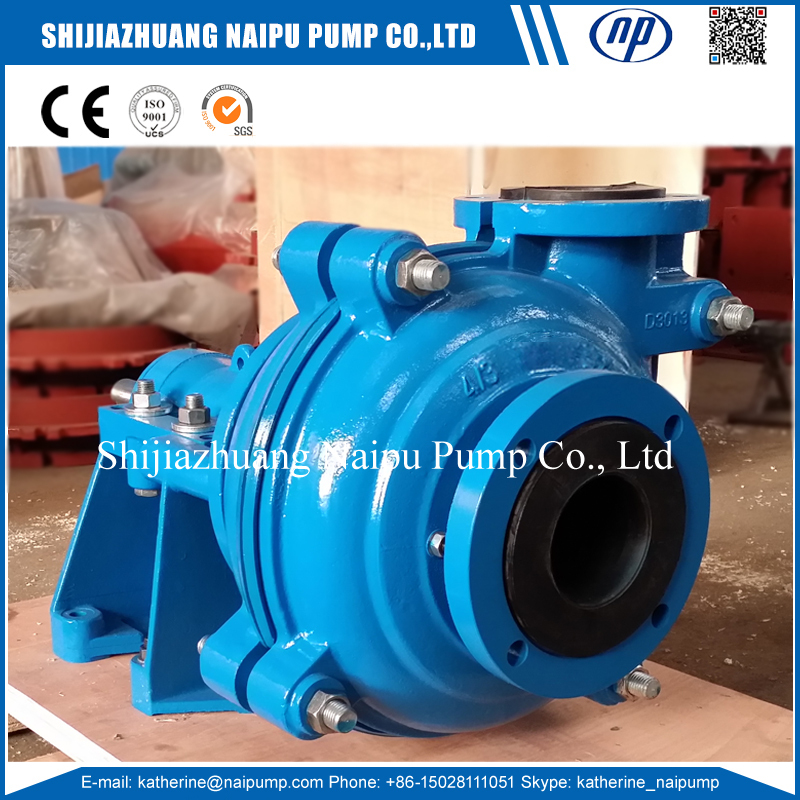 4/3 C-AHR Slurry Pump, AHR rubber liners Horizontal Slurry Pump, 4x3 AHR Pump, 3 inches rubber pump, R55 Liner Slurry Pump, Acid resistant pump, replaceable rubber pump. Q1. What information should be known if I want to get a pump quotation? 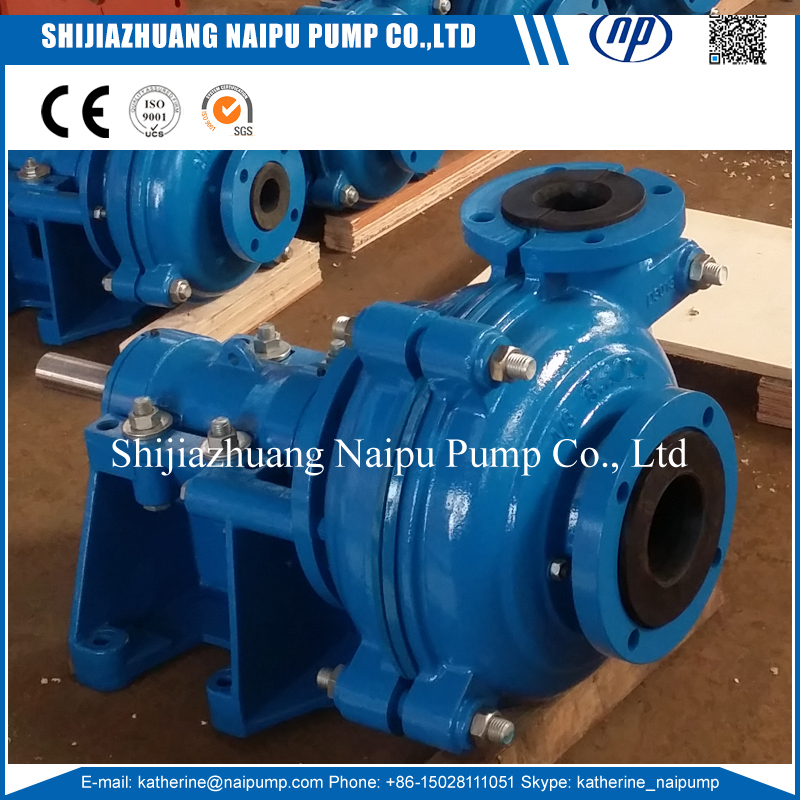 A: Pump working conditions, Usage , Pump Capacity rate(m3/h), Pump Head rate(m), Slurry SG, The More the Better. Q2. If I want to get the complete set of pump with motor and accessories? A: Please tell me your using motor characteristics. Such as the motor voltage, frequncy. The standard motor 380V, 50Hz. Q3: If I want to get a spare parts quotation? A: Please tell me your request pump spares part code number. Such as the Impeller part code no. : B15127R55. 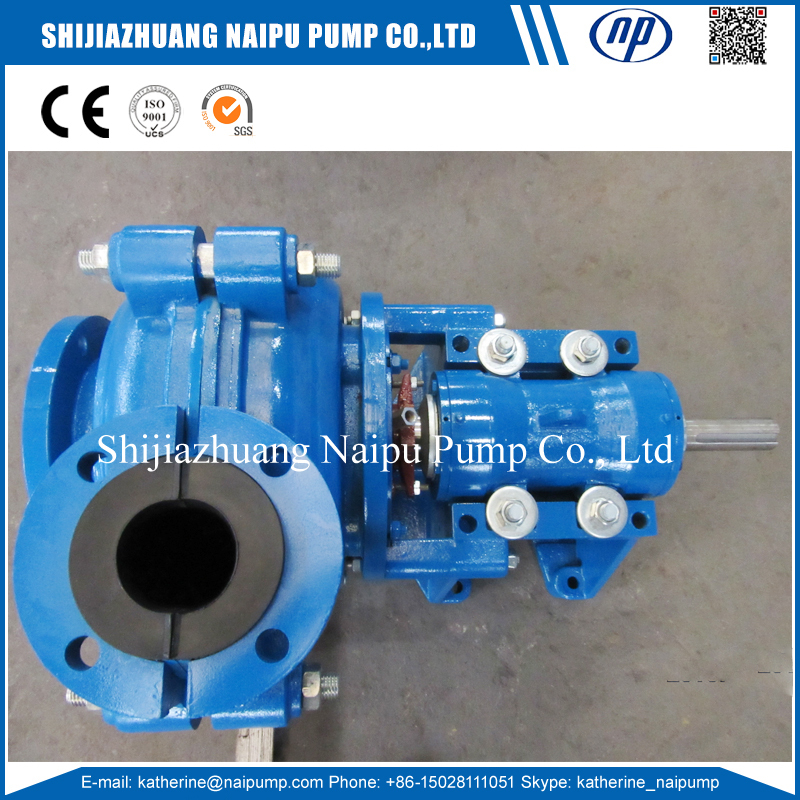 Shijiazhuang Naipu can undertake OEM customization for the whole set of pump and various spare parts. The horizontal Slurry Pump Spare Parts can be made of various material according to customer`s requirement, Such as : Alloy 20, Hastelloy Alloy , A 61 and so on. 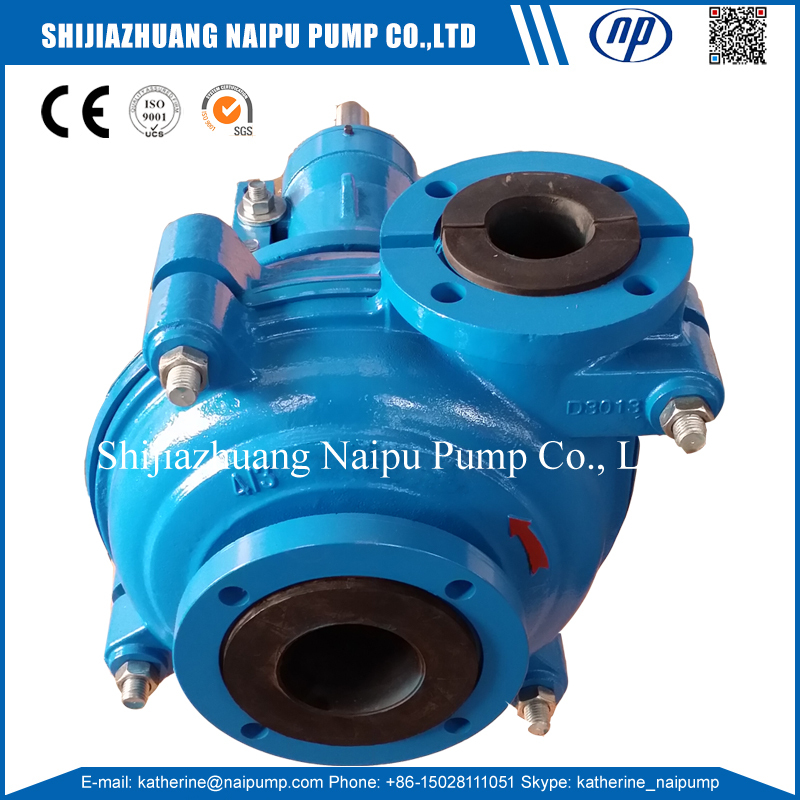 Looking for ideal Bare Shaft Slurry Pump Manufacturer & supplier ? We have a wide selection at great prices to help you get creative. All the Solid Suction Pump are quality guaranteed. We are China Origin Factory of Bare Shaft Rubber Pump. If you have any question, please feel free to contact us.